Honestly, I'm a big fan of NY duo The Chainsmokers and the excellent remixes they create, but I hope people don't judge them solely for their most recent, "#Selfie." Oh it's catchy, but it is more of a joke song, but it has taken over every girl's Instagram, Facebook status, and Twitter. What kind of monster have you guys created!? All jokes aside though, I love the energy from The Chainsmokers and they deserve the recognition. 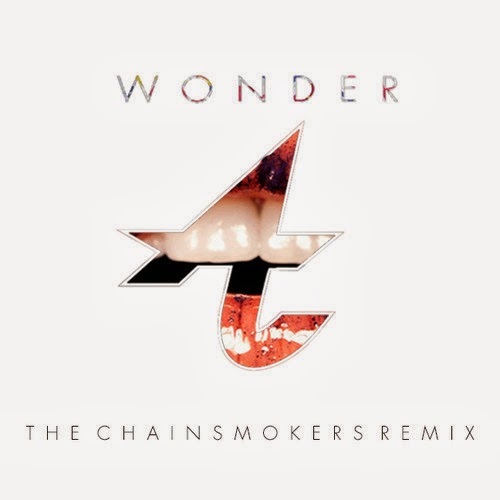 Their latest remix is of Adventure Club's "Wonder," which was a bit more of a softer track for that duo, but now it has been revised a bit. The tempo starts off mellow but continues to pick up into a fist pumping, jump up and down kind of EDM/House tune. The track will be available on Vinyl for April 19th (National Records Day) and on iTunes April 29th. You can stream it below.